DESIGNED TO BE RUGGED FROM THE GROUND UP. Our computers go where most people don't want to go. They go to the front line. Our products are being used in the most challenging conditions around the world. 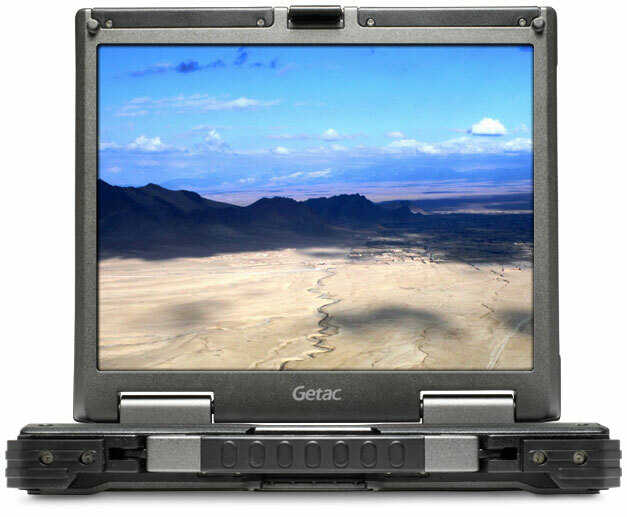 We don't simply make an ordinary computer rugged, we engineer Getac computers from the ground up to be rugged inside and out. 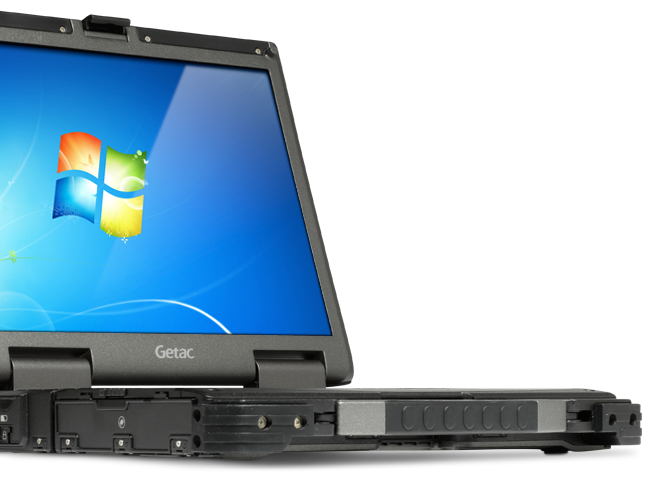 Getac rugged computers are continuously put through a battery of torture tests in Getac's R&D labs every day. We test products in ways they should never be used. We intentionally break them to find out their limitations so our engineers can make future products even better. 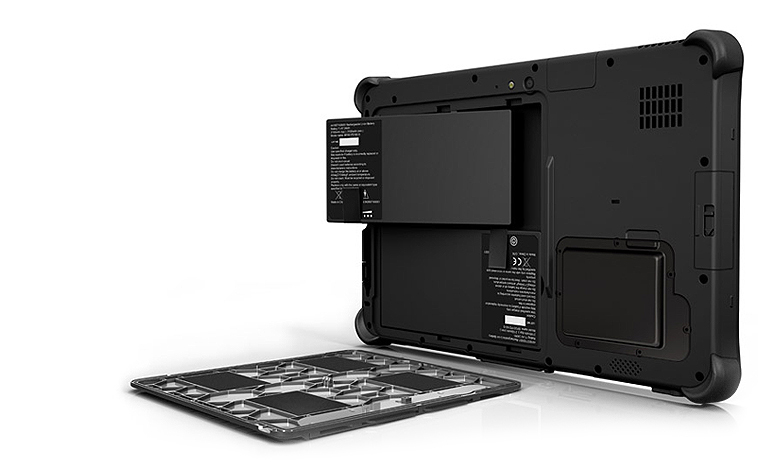 Designed with rugged in mind, our Thin & Light notebook and tablets are a true revolution in rugged computing. Models such as the F110 fully rugged tablet and V110 fully rugged convertible are some of the thinnest units we've ever produced running Windows OS. The V110 fully rugged convertible breaks new ground weighing in at only 68oz and 34mm thin, it's 28% lighter and 30% thinner than the previous generation. Dual Battery for Limitless Power. One of the best features can be one of the simplest. Instead of one single removable battery, our new F110 rugged tablet and V110 rugged convertible have two hot-swappable for potentially infinite, uninterrupted battery life. This enables you to remove one of the two rechargeable batteries and replace it with a fresh battery without ever shutting down apps or your Windows OS. With state-of-the-art Intel® Core i5 and i7 processors, the latest B300 performs up to 27% faster than the previous generation.1 The dual-core processor is ideally suited to handle the multi-tasking necessary in today's complex work environments. From intricate mapping to advanced video and license plate recognition, the B300 has the power needed for the most demanding tasks. Combined with advanced technologies like Turbo Boost and HyperThreading, we make sure every rugged computer we make is ready to handle whatever task you're throwing at it. Our revolutionary LumiBond technology achieves a display that is more readable and offers better contrast and more crisp colors than any other rugged tablet display. By bonding the display glass with the touch panel and LCD, we've created a single pane that is both more durable and improves readability. 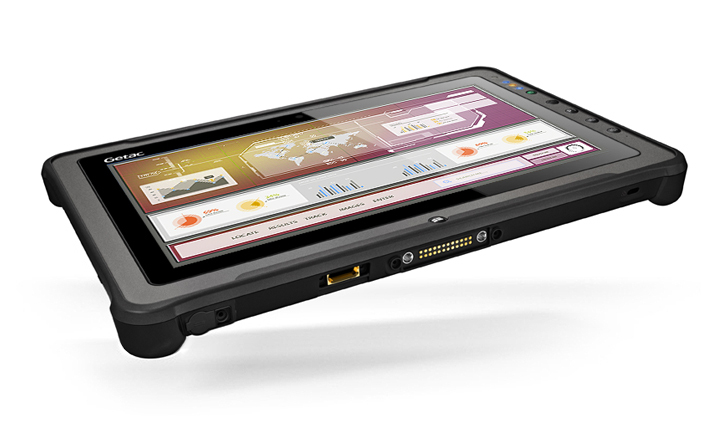 LumiBond can be found on the new T800 rugged tablet, F110 rugged tablet and V110 rugged convertible. 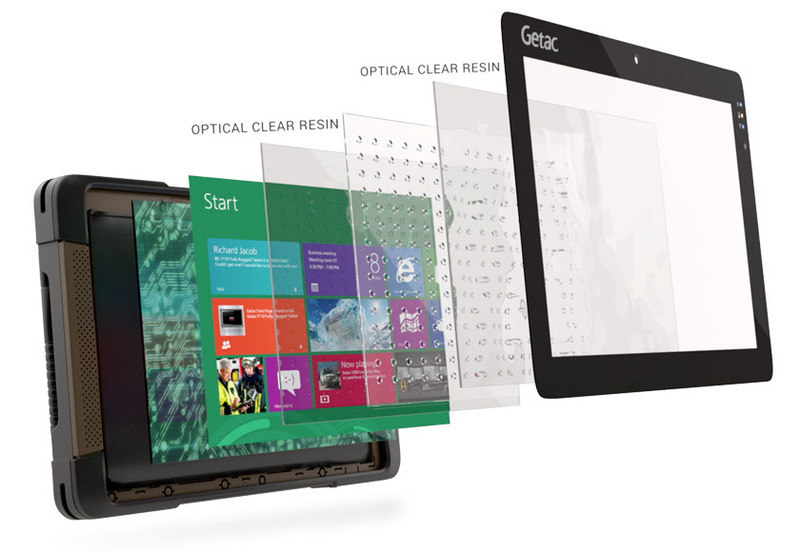 Getac's QuadraClear® solution combines proprietary technologies for both screen brightness and anti-reflectivity to reduce the sunlight's reflectivity and provide more than six times better effective contrast rate than other displays, while still maintaining the battery life you need in the field. QuadraClear® provides an energy efficient LED display that is mercury-free, durable and consistent in brightness over time. With an output rating up to 1400 NITs of brightness, it's no wonder Getac's QuadraClear® display has been called an "amazing feature". PT General Technology Indonesia is a company established in 2011. Engaged in the field of measurement and mapping solutions on accuracy and precision priority for the field of land surveying, constructions, application development, landslide and weather monitoring, monitoring of mining machines and Survey GNSS based on proprietary satellite.